McVitie’s has created a limited edition “transatlantic” biscuit to mark the Royal Wedding on May 19, bringing the Chocolate Digestive together with a classic American flavor, chocolate fudge brownie. 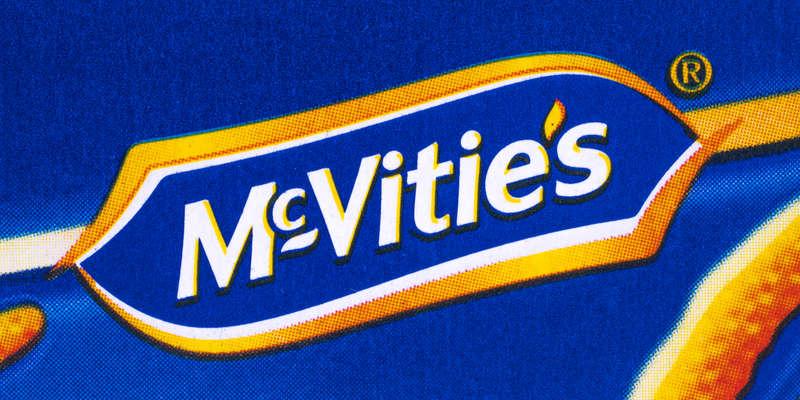 The team at McVitie’s research and development center worked to perfect the winning flavor into a recipe. The new transatlantic inspired biscuit combines the popular classic McVitie’s Chocolate Digestives recipe with the addition of fudge pieces, cocoa and brownie flavoring to the digestive biscuit base, before enrobing it with chocolate topping. Just 50 packs of the limited edition McVitie’s Chocolate Fudge Brownie Digestives will be available for lucky Royal fans to win via McVitie’s Twitter channel in the lead up to the big day. Emma Stowers, Brand Director for McVitie’s said: “We’re very proud of our history of baking wedding cakes for the Royals in the past and wanted to mark the upcoming national occasion with something extra special. In 1947, McVitie and Price created (then) Princess Elizabeth and Lieutenant Philip Mountbatten’s (HRH the Queen and Duke of Edinburgh’s) nine-feet high wedding cake. In 2017, they created a cake to mark their 70th wedding anniversary. McVitie’s was also chosen to make Prince William’s groom’s cake in 2011, made of 1,700 Rich Tea biscuits and 17kg (37lbs) of chocolate.